Dr. Jon Marc Van Slate offers dental bonding at his Houston, TX, practice to conceal chips, cracks, and discoloration so that you can achieve a bright, confident smile. Dental bonding is a cosmetic procedure that uses tooth-colored composite resin to reshape teeth. For many patients, it is a cost-effective alternative to porcelain veneers. Dental bonding can give you a straighter, more uniform, and whiter smile you will want to show off. Dr. Van Slate has extensive experience in this cosmetic procedure, so you can expect a flawless smile, free from imperfections. Composite resin closely mimics both the strength and appearance of teeth, making your bonded teeth strong and attractive, and virtually undetectable to others. The dental bonding procedure is painless and can take up to two hours, depending on how many teeth are being treated. Dr. Van Slate will begin by mixing the composite resin solution to create a shade that matches the shade of your surrounding teeth. Strips will be placed between your teeth, to keep the resin from touching other teeth. There is absolutely no downtime or recovery required with dental bonding. Your smile is immediately transformed. Next, he will apply an acidic etching solution, which helps create a stronger bond. The solution is rinsed off and the bonding agent is applied to your teeth. He will carefully layer the composite resin on your teeth, shaping the material to add length or width. He will then smooth the resin so it looks natural before hardening the material with a UV light. Dr. Van Slate will ensure your smile is symmetrical and that your bite is properly aligned. For an even more natural look, he will lightly etch the surface of the bonded teeth to closely mimic your original enamel. There is absolutely no downtime or recovery required with dental bonding. Your smile is immediately transformed. If you want to correct minor cosmetic imperfections in your smile, you may be a candidate for dental bonding. 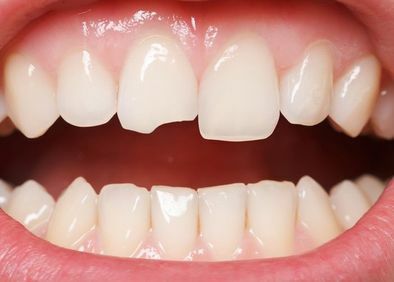 Since bonding requires little, if any, enamel removal, it is often a good alternative for patients who lack sufficient enamel for porcelain veneers. It is also more affordable than veneers, and therefore a good option for patients who want to improve their smile but are on a more limited budget. To qualify for dental bonding, you must be in good oral health, and free from tooth decay or gum disease. If you suffer from either of these issues, they must be addressed prior to cosmetic treatment. It is also recommended that patients do not smoke, as this can stain the composite resin. Dental bonding can immediately improve your overall appearance. You will leave our office with a stronger smile that is straighter, whiter, and more uniform. With a brighter smile, you can feel more confidence in personal and professional settings. Dr. Van Slate wants you to achieve a bright smile that you can be confident about. If you have minor cosmetic flaws you want to correct or conceal, contact our dental practice today to schedule your personal consultation.